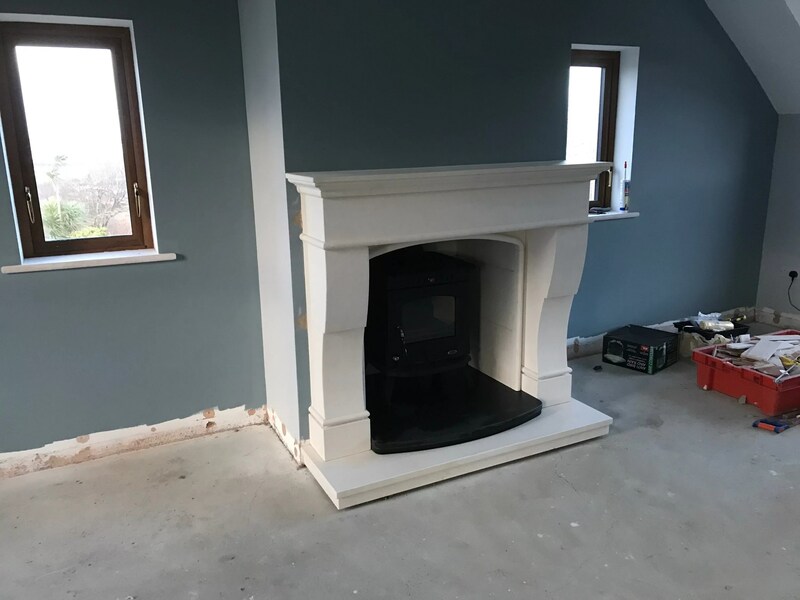 We love getting the opportunity to design and manufacture bespoke fireplaces for our clients it’s were we started in the fireplace industry. Clients often come into our showroom tired of seeing the same shape,style and colour of fireplace in every other fireplace showroom they have visited or the Chimney breast measurements may not accommodate the fireplace they desire, although this is what we sell the most of, some clients just what to have a unique product designed and made for them, and this is what gets our creative juices flowing. 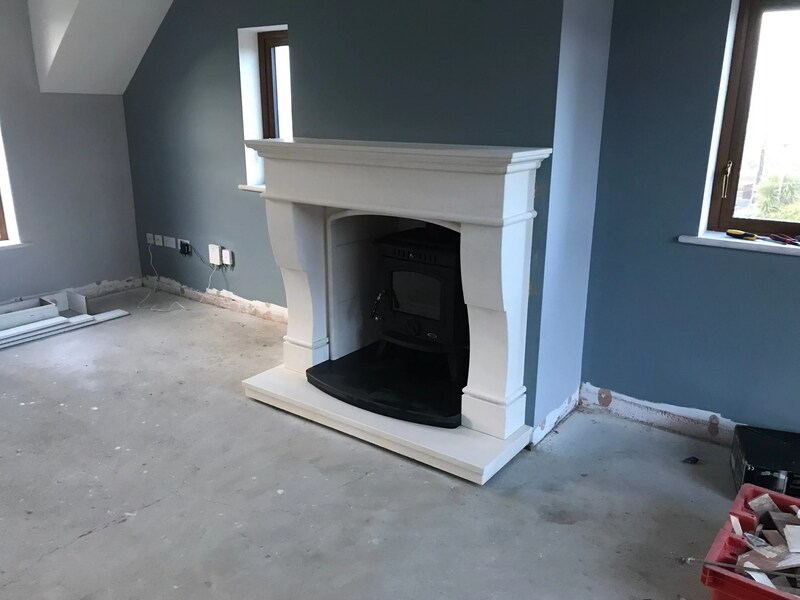 This project was one that ticked both boxes, The Clients Chimney breast was just under 60″ and most of the fireplaces they had in mind were 60″ +, so we got to work designing a fireplace that had the grand fell of a 66″ all the while fitting the clients brace. 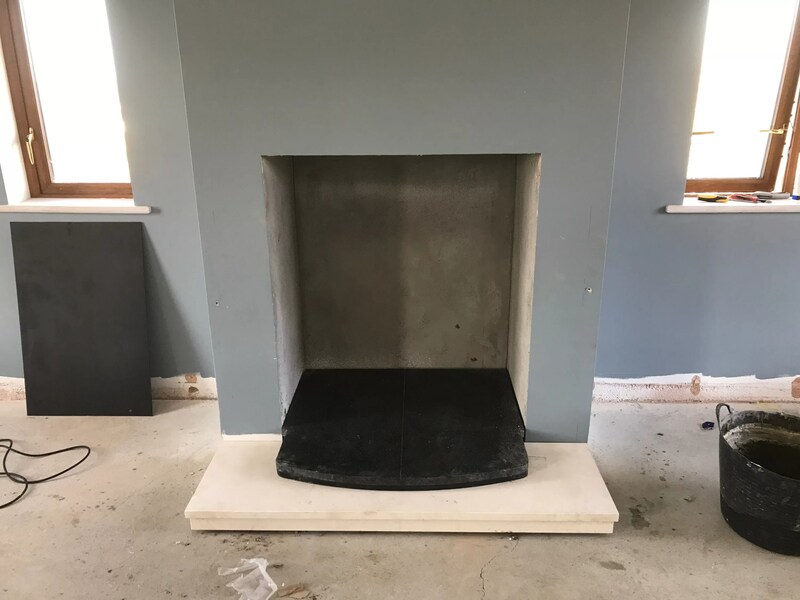 Finish product is a fully bespoke Limestone surround with Beveled Limestone Chamber, Limestone Hearth and Black Abyss Leather Granite Double Hearth. The stove is Henley Skellig matt Black 8kw Multi-Fuel Non boiler Stove. 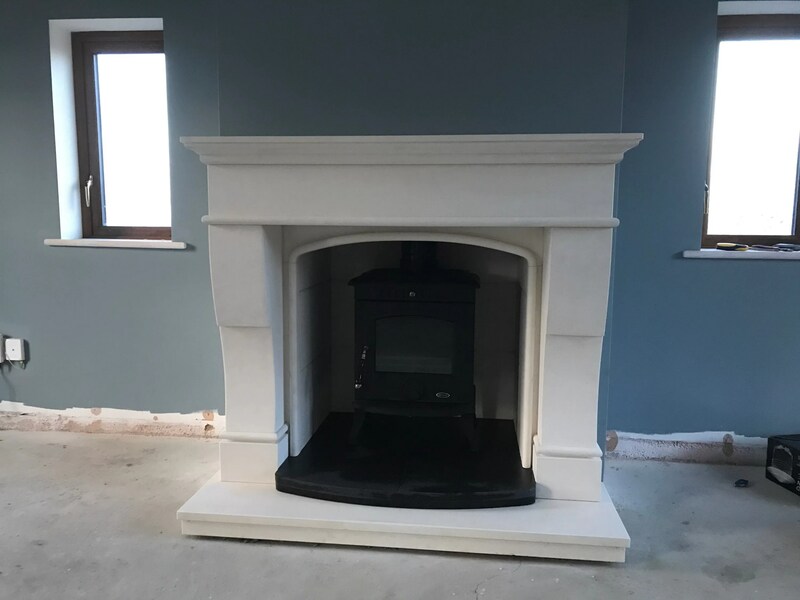 This entry was posted in Uncategorized and tagged bespoke, fireplaces, limestone, stoves.